Weddings InStyle: It's TIME to cast your Votes!! 2013 Wedding Industry Awards! It's TIME to cast your Votes!! 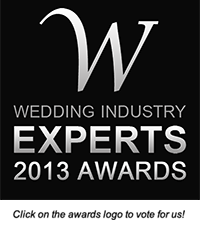 2013 Wedding Industry Awards! With your help we can retain the rights again this year. Let us tell you about the award. There is no Judging Panel - Instead of appointing an arbitrary panel of judges to pick winners, the Wedding Industry Experts Awards is a TRUE peoples choice Awards. We personally LOVE this because it means anyone can vote for the vendors they love. The results will show who is the most popular choice in each category by city, state/province, country and internationally. We of course see that some of our fellow colleagues in the industry are also being recognized for their fabulous efforts (We supported their nominations by clicking thru and voting for them too!) Because we at Weddings InStyle believe one should NEVER be so busy side eyeing everyone else's blessings that you can't see YOURS staring you in the face! We believe in CELEBRATING not HATING because there's MORE than enough fabulous to go around! What we particularly LOVE about this award, is much like the Brides Choice Award that we won in 2011, 2o12 & 2013 - is the fact that it is 100% driven by people JUST like you who want to honour and express gratitude for the great service they received or are receiving. As always - the action happens on Facebook - so why not join the party there? Inspire. Love. Dream. Share. Grow. Together!! !